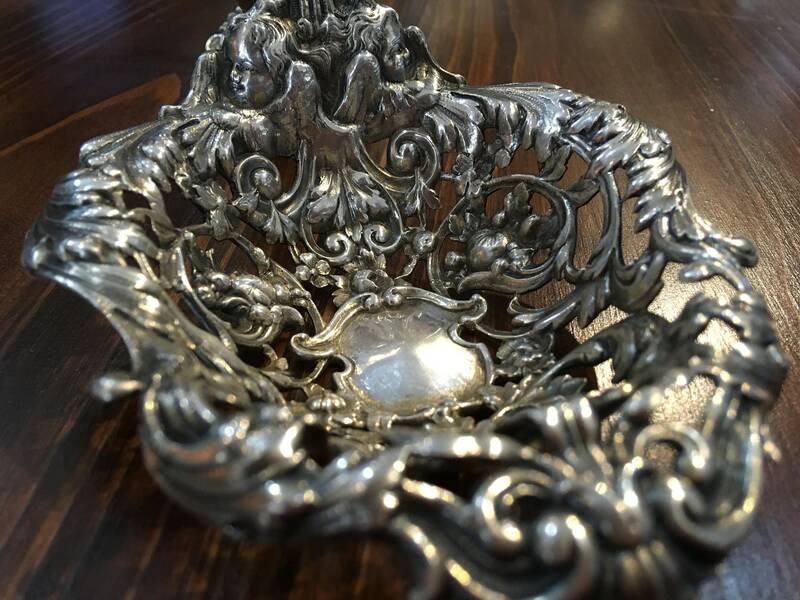 Sterling Silver Bonbonniere by Gorham Silver Co. 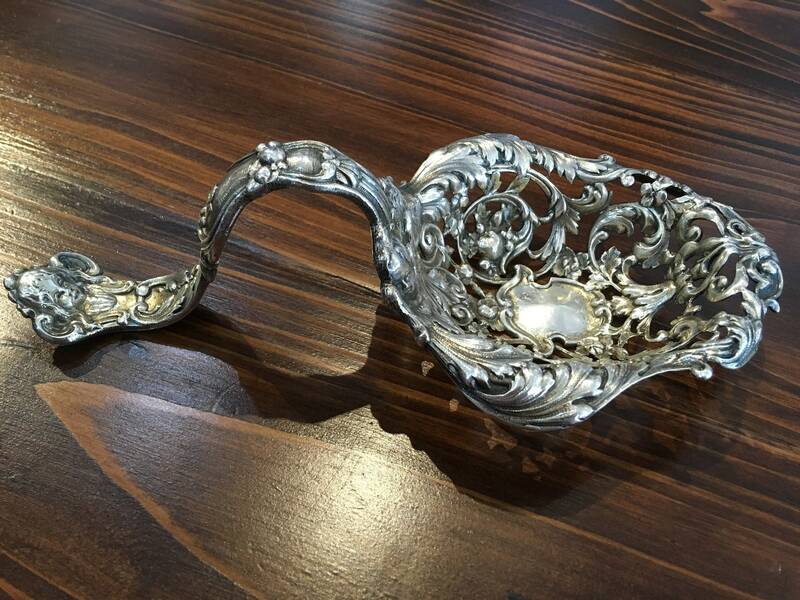 This artful sterling silver bonbonniere was created by Gorham Silver Co. around 1900. 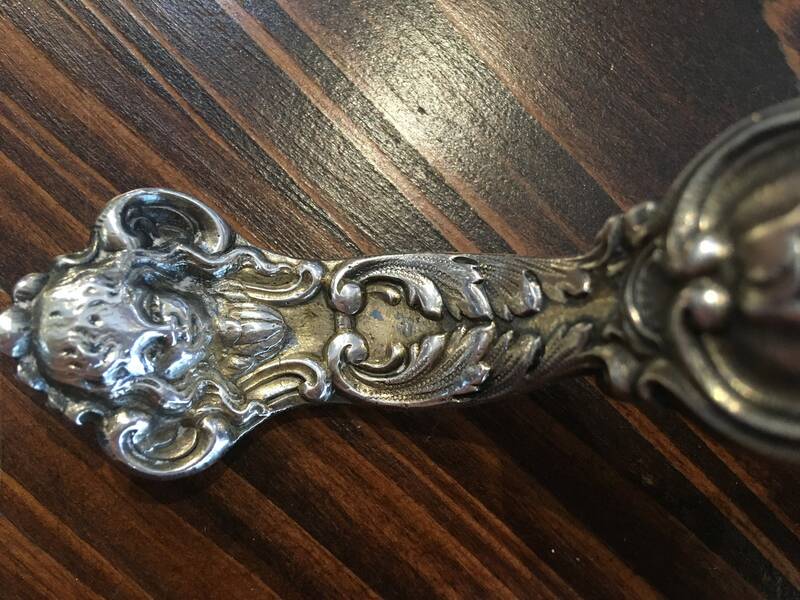 Fashioned in the image of a large spoon, this piece is meant to serve as a candy bowl.